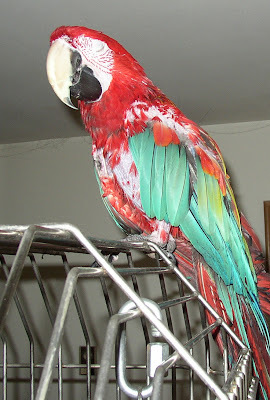 Little is known about Mr. Cracker except that he may very well be a wild-caught presumed male Ruby macaw (Greenwing/Scarlet mix) believed to be about 45 years old that has gone through about five homes in his life. By the looks of him, his father was a Greenwing macaw and his mother a Scarlet. Cracker has no leg band, and is old enough to be a wild-caught parrot. Cracker lived with his latest parront and a flock of Cockatiels in Seattle for nearly twenty-five years, since about 1987. 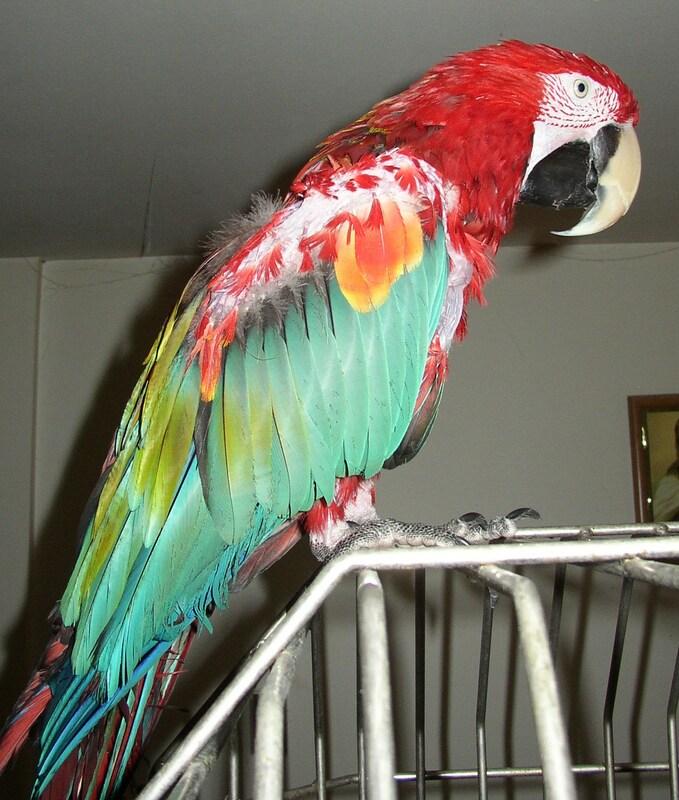 Over the past several months, Cracker's owner developed a serious medical condition and eventually could no longer care for the parrot. For a time Cracker apparently was subsisting on sunflower seeds and peanuts! Fortunately arrangements had already been made to place Cracker in a foster home when the owner was rushed to the hospital in critical condition. That person didn't like the name Cracker, so he renamed him Alexander. Cracker is a big bird! He probably weighs close to three pounds. Our female Greenwing macaw Roxanne is small by comparison. Almost immediately, Cracker let us know that his name is Cracker! Not a great speaker, he does say Cracker, I'm Cracker, Hello, Hello There, Eat the Food, Piece of Cake, and Goodbye, among other words and phrases. He has one tune that he sings often, and he loves to hop and dance. He is a voracious eater, probably because of his situation prior to foster care, and loves his fruit and vegies. His owner told us he doesn't play with toys. Not true! He had one ratty old toy in his cage. He now has a big steel bell that he loves, as well as many chew toys that keep him occupied. Cracker developed a serious plucking problem that coincided with his owner's illness. His chest, legs, and parts of his wings are virtually bare. We hope that the plucking did not progress so far as to be irreversible, and that as he settles into his new life his feathers will grow back. Cracker is currently in the care of Northwest Parrots Fund until his condition can be assessed, his diet regulated, and his suitability for rehoming determined. 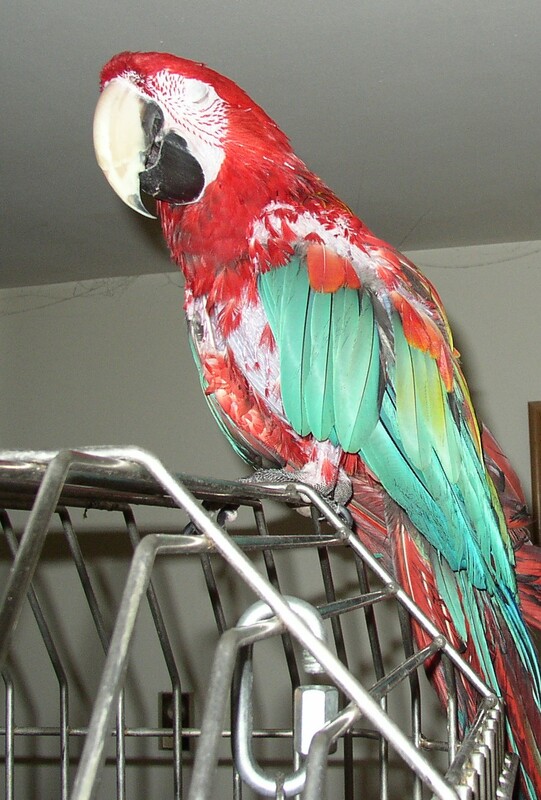 Cracker appears to favor men rather than women, and clearly needs a home with someone who has macaw experience, and preferably other macaws in the household. Cracker's foster home includes a flock of four other macaws, and Cracker clearly is enamored of the female Greenwing macaw Roxanne as well as the male Blue and Gold macaw Aboo. If interested in adopting Cracker, or to learn about other parrots currently available for adoption in the Pacific Northwest, or if you would like to join our parrot foster home network, please visit Northwest Parrots Fund. 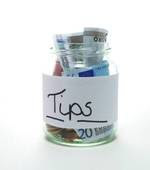 Northwest Parrots Fund is a 501(c)3 nonprofit charity registered in the State of Washington.